Watch this third in a series of 10, beautiful videos, with Barbara Marx Hubbard and Marc Gafni. The future can be filled with innovation, creativity, human dignity of an unimaginable proportion or we can actually implode and self-destruct. 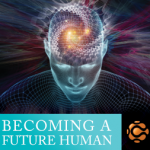 The difference will be: Will we actually evolve our consciousness? 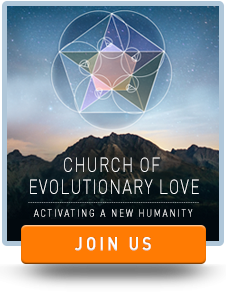 Will we evolve love? Will we actually begin to realize that the Universe is a love story, that we’re personally implicated in this love story; in this evolutionary love story? When we wake up as conscious agents of that evolution, we begin to come together, we can actually transform the whole story. You can read the whole transcript below. Marc: Welcome to podcast three of The Universe: A Love Story, Evolutionary Love podcasts with Marc Gafni, Barbara Marx Hubbard. And I apologize that I’m the only person with two names and not three. Ok. Here we go. So I think what we decided to do for this week is we’re in week three, is just to kind of catch everyone up. We’re going to do what they call in music a recapitulation. This to recapitulate and Barbara, maybe I’ll just mention a point of recapitulation and then maybe you’ll comment on it or talk about it just very briefly and this podcast it’s going to be fifteen minutes. We’re going to try from this week on to keep our podcasts to about fifteen minutes. We’re just going to try to recapitulate where we are so we really see clearly and then next week we can take off the next step. So we want to evolve the source code we said last week. And by source code we mean evolving the narrative; evolving the story that we’re living in, evolving the framework that we’re living in, and what we’re saying is and this is big, is that everyone lives in invisible frameworks. 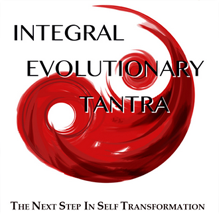 And if you want to start to have power over your life, don’t just do a particular methodology or particular practice. To really give power, to really change your game, just actually relocate yourself in a bigger narrative and a better narrative with better information, you’ve got to change your map. If you’ve got an outdated map, you’re never going to find your way. So what we have to do is we actually have to do a redraw the map of reality based on the best spiritual, scientific, psychological, anthropological, the best information available today from all places. That’s what we’re doing. Barbara: And the important thing there is according to the source code, you behaved, you acted your life as directed and most of us don’t know we have a source code. It’s invisible. It’s like a fish swimming in water. So by noticing your source code, like if you think you’re out of control and the world is coming to an end, you’re going to behave differently than if you think you’re evolving into a world that has infinite possibilities. It’s hugely different what source code so I think what we’re doing here is making us aware of the source code that we may have and what’s the best possible source code that gives us the most accurate loving truthful story to empower all of us. Marc: Right, right. It’s like what we’re doing is I mean we’re laying down, we’re articulating the texts of the evolutionary Bible. Or if you want to use a more Eastern term, the evolutionary Sutras. A Sutra is like a verse. It’s the great evolutionary Ramayana. Ramayana. Sorry, let’s start with the end there. The great evolutionary Ramayana. It’s the great evolutionary Mahamudra. So I’m borrowing terms from the East. It’s the evolutionary aboriginal story. The point is that we’re re-narrating the sacred text which talks about the origin of reality, its purpose, its direction. Because remember that the sacred texts that we have available to us today were written by people who on the one hand were wildly open and awake and had deep, direct connections to spirit. On the other hand, they didn’t know, none of them, some of the basic truths about reality. Not only scientific, but moral that we know today. The basic idea that a woman is fully equal to a man, the idea of democracy, the idea that no-one’s expendable. All of these ideas were fundamentally unavailable. The idea that universal human rights… none of these existed to the people who created the great traditions. So they had deep knowledge of certain key dimensions of spirit which were critical and beautiful and totaled this enormous amount about the good, the true, and the beautiful. And their other ways was actually the bad and the ugly and the barbaric. And so we need to re-narrate a new sacred text. Barbara: Well I remember when the story I was told when I graduated from college in 1951 Bryn Mawr College was get married, have as many babies as possible, take care of your husband, take care of your house, and the men are to go out and win; win wars, make money. The entire materialistic culture was what I was given as the best it could be. And one professor said you know what? I think most of our problems have been solved. This is 1951. So we didn’t have a clue of what was coming. I do want to say one thing to you. Not to judge the human race too harshly… because sometimes I think what it was like fifty thousand years ago when we just got self-reflective consciousness. We had no teeth, no fangs, no fur, no clothes. We made it through up to the point of the power of destroying the world or evolving the world by the source code that we have. So I just wanted to say the enormous importance of shifting the source code when we have the power to destroy or create at this scale. Marc: Yea, absolutely. See get what we mean by the source code. Source code means that the invisible framework in which we live and we’re going to now evolve that source code based on all the information we have. When I say all the information, I want to be really clear: scientific information, psychological information, but also interior information. The voices of essence speaking to us and through us. The voices of interiors, the voice of love, the voices of values, the voices of new meaning. Those are called interiors. Barbara: Do more of it. Barbara: We won, we won. Marc: And we won. There were people like you and your husband who actually were the existentialists meaning actually this is empty and how do we actually construct meaning? And how do we actually reweave the source code and so what the existentialist said was there is no source code. There is no meaning. We’re just making it up. We’re now realizing in 2015 based on an enormous amount of depth and study and maturation and transformation and growth is that actually there is deep meaning available; that actually you can disclose meaning and it’s a new realization there’s a post-dogmatic. It’s not the old dogma, but there’s a post-dogmatic knowing of the patterns that connect, of the new story. For the first time we’re able to see the narrative, we can see where we’re going, and we can gather the best information. Marc: That the Universe itself was evolving. Barbara: They did not know, much less that we were evolving. And so the other thing that we didn’t know therefore what was our meaning? Where should we go with all this power? What should we be doing with this? When I went to Bryn Mawr College I remember they said what course do you want to major in? Well I had to know what direction the Universe was going in before I knew what I wanted to major in and I just want to make the point as how hard it was to give meaning to your life if you didn’t know the direction of the larger process that you were part of and the crisis are also new. We didn’t really know we had an environmental crisis. We didn’t know. Marc: We barely even knew we had an environment. Barbara: We didn’t know we had an environment. We didn’t know we had a population problem. If we want more doubling of the population we could destroy life. We didn’t know we had the powers of Gods to destroy. So I would like to just say for the human species, the newness of this gives the sense of great empathy for us. We didn’t have any professors who are on the other side of this to say here’s the way we’re going. So the ones of us who are searching for, who are really searching into open space. Marc: Right. And out of searching into that open space, we’ve gathered together really for the first time in history and integrated all over the great wisdom traditions from the traditional period before the Renaissance from the great spiritual religious traditions, from the Renaissance and on which we might call the scientific period or the modern period. And then the postmodern period after modernity failed in so many ways; the two great bombs dropped in WWII which symbolized the failure of modernity’s power. We are personally implicated in evolution. Marc: We haven’t talked about it. We’re going to talk about it next week very clear. The allurement of particles and we’re going to be transparent there. We haven’t talked about that yet, but so we’re going to get that done next week. So if you didn’t get that, just bracket it and keep going. Barbara: Ok. So I just wanted to say that what we’re saying now about the need for the new source code of love as the direction of evolution is vital for survival is not just nice. Marc: Right. And that’s the key. It’s vital for the survival, not just for the individual. All of a sudden we’re facing a level of crisis where issues are not local, they’re global and we can either we’re before a tale of two futures. The difference will be: Will we actually evolve our consciousness? Will we evolve love? Will we actually begin to realize that the Universe is a love story, that we’re personally implicated in this love story; in this evolutionary love story? When we wake up as conscious agents of that evolution, we begin to come together, we can actually transform the whole story. But we’re ahead of ourselves. So we’re already kind of reaching towards next week. Let’s before we finish, Barbara, let’s just kind of summarize what are the four basic things that we’ve said? We’ve said that the evolution’s not a fact in the world. Let’s get this straight. The world, the Universe is not a fact, but a story and it’s a love story. It’s moving towards greater love. We’ve said that that’s an urgent necessity to realize that. Without that realization, which will shift our consciousness and therefore transform our action, we actually can self-destruct. Cosmological evolution, planets and stars, biological evolution life and cultural evolution of deeper ways of living. Ideas, consciousness where we go up to some kind of cave man to the most advanced human beings. Those are the three big bangs and the trajectory of evolution from the Cosmological to biological to cultural evolution, three big bangs is towards greater and greater love, more and more caring. Barbara you pointed out greater inner-connectivity. A dog has more inner-connectivity, more love happening inside than an amoeba. A human being has fifty trillion cells. More inner-connectivity and love than an amoeba. And that we’re all unique expressions of that love, which we’re not going to talk about yet. We’re all unique expressions of that love intelligence. That’s going to be really important to understand our place in the love story. But that, we’re ahead of ourselves. So that’s what we know. We’re personally implicated in the story and the story needs us. To know what role we play in the story, we need to understand the story. That’s where we’re going next week. Good? Marc: Rock on. Awesome. Next week it is.